We said goodbye to July – and to Finnish holiday season – in Rauma and Sammallahti, a UNESCO-protected Bronze Age burial site. The weather was perfect, the number of fellow tourists was close to zero and the atmosphere was so fitting to the otherwise stressful life(style). Oh and we did pop to Forum Marinum in Turku! You will be able to read more about it on my other blog; let’s say that it is a large naval museum centre. And it is awesome. This rediscovered love for the sea and freedom shows. And! As literally everyone based in Finland have noticed, we got those public transport bikes in Helsinki a few months back, jippee, finally we made it to the civilised European capitals! Let’s start with a little applied anthropology: who would be a typical person using these bikes? Those who are really interested in cycling and have a good mental map of cycling routes in Helsinki probably have and use a (lighter and faster) bike of their own. The typical person would probably borrow the bike on extempore basis. Hardly they would be carrying their own helmet, and it is reasonable to assume that they won’t have much clue about cycling rules, customs and routes in Helsinki. Quite often these people would be seeking a cheap and fun way home from some kind of social gathering. Read: the cyclist may be as well a bit drunk. 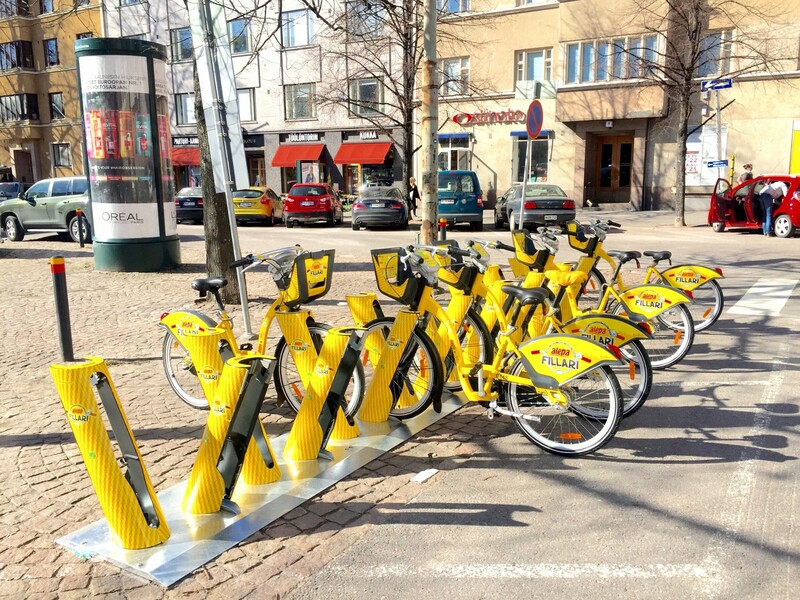 I was wondering whether the Helsinki City Transport has thought of this, have they noticed increase in cycling incidents in the past few months? The bikes have been around for several months now, it may be time to do go through some numbers?